ELISSA returns to the Gulf of Mexico for two weekends, March 28-30, and April 4-6. It is an amazing accomplishment to sail again after a forced sabbatical that began in 2010. Our multi-million dollar restoration makes ELISSA look like she just left the shipyard in 1877. Galveston Historical Foundation will host guests aboard over the next two weeks. We extended invitations to a number of individuals from around the area to join us. It’s by invitation only and is an opportunity for us to thank those who helped us get her sailing again. Despite the oil spill and our delay in returning to the Gulf this week, our captains are prepared for an extraordinary event. They come from the Northeast and West coast and bring years of tall ship sailing experience. The US Coast Guard has provided full clearance for to sail ELISSA. While in the shipyard in 2012 we applied a special coating to ELISSA that helps deflect material from her historic iron hull. This gives the ship an additional layer of protection again stray electrical currents and errant oil slicks. The greatest achievement for ELISSA is that GHF is able to continue to tell Galveston’s story as a port city founded in 1838. 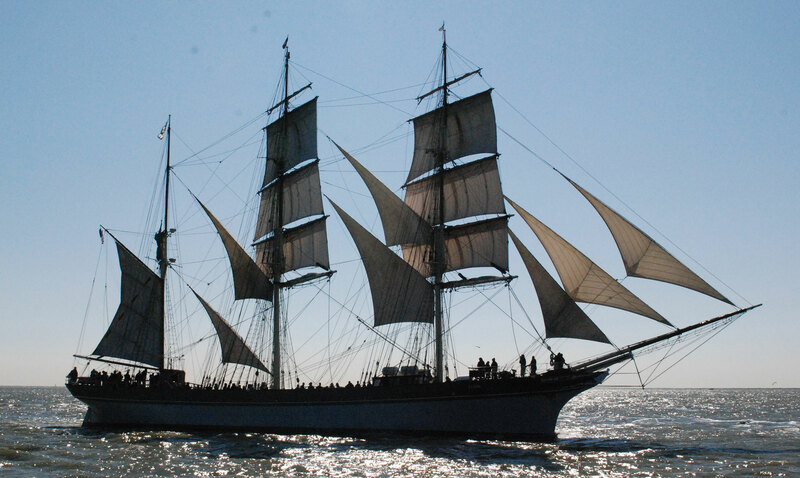 ELISSA is one of three tall ships of her vintage in the world that still sails. The experience of watching her from the shore or being on board is a rare opportunity for locals as well as a national audience. It’s also a great moment for Galvestonians. Come out to support her sails. Join us as we return this National Historic Landmark back to her rightful place sailing the Gulf of Mexico. ELISSA is due back to Texas Seaport Museum later this week. Exact time is TBD.